A study by the Fire Protection Association, looking at the ten year period between 1999 and 2008, found that hot works caused a total of £70m worth of damage, including 164 individual fires that caused over £250,000 worth of damage each. In response to these figures, the Hot Work Permit Scheme was introduced, to ensure that workers, and their supervisors, had the correct skills and understanding of the risks involved to safely conduct hot works and reduce the chances of causing a fire. This hot work permit has become widely accepted across the construction industry. Who is hot work permit training for? Hot work permit training, also known as the Hot Work Passport, is aimed at operatives who are conducting hot work, as well as managers, supervisors and site safety officers who are overseeing the work and who are responsible for the overall health and safety of the site. While a permit is not strictly compulsory, many companies, and their insurers, will not allow you to conduct hot works without one, so it is an essential qualification for anyone interested in gaining work in this field. 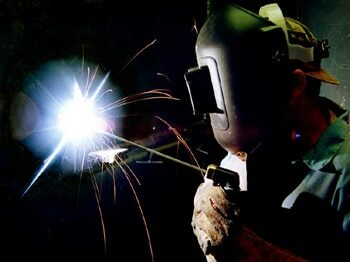 Any temporary operation or task that involves open flames or the production of heat or sparks. The hot work permit is a legal document and defines individual responsibility, and therefore liability, under the Regulatory Reform (Fire Safety) order 2005, CDM Regulations 2015 and the Health and Safety at Work act 1974. Candidates will learn how to work safely in a hot works environment, including how to assess the risks, prepare the workspace, perform the work safely and monitor the workspace afterwards. The course will outline your responsibilities to yourself, to those around you and to the building or construction site in which you are working. It can be tailored to the specific requirements of individual industries and workplaces, to focus on the day to day risks encountered by the workforce. What does the hot work permit training cover? Hot work permit training takes 7 hours and is usually completed in one day. Start times can be varied for in-house training to meet the demands of shift work and staff availability, while open courses generally run from 9am to 5pm. The course is continually assessed to ensure that all candidates have understood the information at each stage. There is no formal assessment or exam at the end of the course. On completion of the course, successful candidates will be issues with a Hot Work Permit, which is recognised across the construction industry. This permit is valid for 5 Years. Where are hot work permit training courses held? Since the risks, methods and tools will vary from site to site, it is often beneficial to arrange hot work permit training in-house at the site at which the work will take place. This allows the instructors to demonstrate the practical elements of the course in a real life situation, making the training feel more relevant and practical for the participants. This type of training is very cost effective for companies with three or more candidates who require training, and is more convenient for all concerned, increasing attendance, reducing the time away from work and cutting travel costs. If in-house hot work permit training is not possible, we are also able to offer open training courses at convenient venues across the UK. These courses are open to anyone and suit companies with fewer than three hot work employees. Open courses are also ideal for individual candidates who wish to improve their skills and therefore their career prospects. We work hard to keep our course costs down to enable as many people as possible to attend. For a competitive quote for in-house training for a group, or for individual course costs, please contact us today on 0808 164 9690.